Distributed Marketing Automation: What Are the Benefits? As a marketing executive, your goals are clear. Your brand has an identity. And you have a compelling brand story to tell. But you need the tools to make it run like a well-oiled marketing machine. Then you can increase sales, gather higher-quality leads, and gain an edge over your competition. Distributed marketing automation is a software solution that makes your life easier. Whatever role you play—distributed marketer, marketing agency, franchise, or brand marketer/manager—you’ll save time, streamline your campaign’s marketing delivery, and ensure that your brand is consistent across all channels. 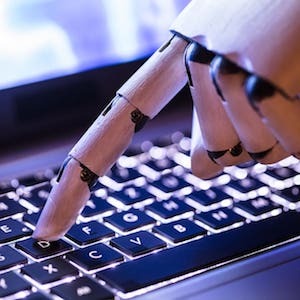 Automated marketing is the process of using software tools to automatically connect with consumers. It empowers marketing executives to administer repeatable, consistent campaigns on behalf of their local partners. An engaging campaign uses a pre-determined combination of templates, creative assets, business rules, and reporting/analytics. This allows for the design and production of marketing campaigns, sometimes referred to as “trigger marketing.” That’s because it’s based on specific triggers, like user interaction. Let’s say you’re sending an email. Instead of separately creating and sending a large number of varied email messages, distributed marketing automation software automatically generates and sends all these messages for you. So you don’t have to create thousands of unique, digital messages or direct mail pieces to reach a diverse audience. You can use distributed marketing solutions and variable data printing to create customized materials for each audience. The result? Smart marketing that requires less effort. Now more than ever, agencies and industries are adopting this automated technology. In fact, nearly 80% of companies classified as “top performing” have used distributed marketing automation for at least two years. The larger the company, the more likely they are to use marketing automation, especially because it’s a scalable feature. If the company grows, the software grows with it. The great thing about distributed marketing automation is that once you’ve created the initial content, you don’t need to deal with it. It works on its own. Email messages are automatically delivered to prospects who sign up for your updates. Social media posts publish according to the schedule you create in advance. It all adds up to you getting back to concentrating on your business, the way it should be. If your company has many distribution partners, it might be “distributed” because you’re spread out geographically or organizationally. Distributed marketing, in turn, refers to that process of creating customized, templated marketing materials for everyone involved, particularly in a local marketing system. This creates a co-branded message that’s automatically delivered to consumers. You could use a brand marketing center, automated marketing campaigns, and/or digital asset management to achieve your objectives. They all work together to save time and money for both the brand and its stakeholders. Now that you know what automated and distributed marketing solutions are, let’s look at some of the benefits of distributed marketing automation. Both your printed and digital marketing materials can be automatically delivered when they’re triggered by a user’s specific actions. For example, let’s say a retail customer signs up for a loyalty program. They’re automatically sent a welcome message that includes a gift card. Because the delivery of these highly targeted interactions are automatic, it increases productivity by eliminating the need for graphic designers to customize each piece, and it reduces the involvement of the marketing and sales teams. After all, it’s automatic. The customer does one thing, and it triggers an action. Let’s say you have an insurance agency with a network of field representatives around the country. When someone signs up for a new policy, there needs to be a system in place for an agent to communicate with them. You can set up an alert when there’s a need for a personal call or an email to respond to a special type of situation. If there’s a problem, the system creates a ticket to let the agent know about the situation and allows them to respond. The software can also produce daily to-do lists without missing important steps along the way. This all leads to a more productive and responsive process. Distributed marketing automation isn’t targeted based only on personas or groups, but on recipients’ actions as well. So you’re not only delivering the right message to the right person. You’re also delivering it at the right time. Have you noticed what happens when your credit score improves? You’re suddenly eligible for new offers on credit cards, loans, and more. You’ll automatically start receiving these offers when your credit score reaches a certain number. If you’re marketing to this group of credit-worthy recipients, automation helps you reach them before the competition. This is important because most of the time, a consumer will select the first such offer they receive. It’s like the first-to-market concept. When a company believes they have a great new idea or product, they will move quickly to get the “first-mover” advantage and gain market share. In this case, because the consumer is now eligible for new offers, they’re more likely to respond to the first one they receive. Make sure your organization’s brand guidelines and best practices are in sync across all your channels—and available to every team member at the click of a button. If you maintain brand compliance, it can work in your favor. Let’s say you use automation software to send an email to many recipients, telling them to keep an eye on their physical mailbox for an exciting offer in the next few days. When you deliver the direct mail campaign, be sure it upholds the same brand and style guidelines as the email. The two should work together, meaning they look and sound alike in tone. That way, when the mailing arrives, the recipient immediately recognizes and (hopefully) opens the envelope. Naturally, this process leads to higher engagement and redemption rates. You don’t need to send your marketing campaigns as individually processed pieces. Variable data printing’s digital capabilities allow you to create hundreds or thousands of variations of a single mailing piece at mass-production rates. This way, you enjoy the benefits of personalization without sacrificing time. With variable data printing, you can change page elements like text and graphics from one printed piece to the next. As an example, a veterinarian can send reminder cards that distinguish dog owners from cat owners. Or, a hair salon can send timed, personalized messages to a client based on a service they received before. Because the page’s information comes from a database or external file, there’s no need to slow down or stop the printing process to make the changes. In this case, you can target your marketing message, but it doesn’t have to take a lot of extra time. The time you save on management and production helps free up more of your marketing budget. You can scale direct mail, digital mail, and social media campaigns. It doesn’t matter whether you have 100 customers or 100,000, the same processes are in place. So as your business grows, so does your software. Regardless of the number of customers you have, you have the ability to manage lists, add different variations, etc. using marketing templates and list-management software. For distributed marketers, reporting is an essential component of any marketing campaign. Businesses want to see what’s happening with their marketing efforts. That way they can do more of what’s working and cut the things that aren’t. And that’s where automation comes in. Creating accurate, detailed reports can take up a big chunk of time. After all, you need detailed insight into production, delivery, response rates, and more. 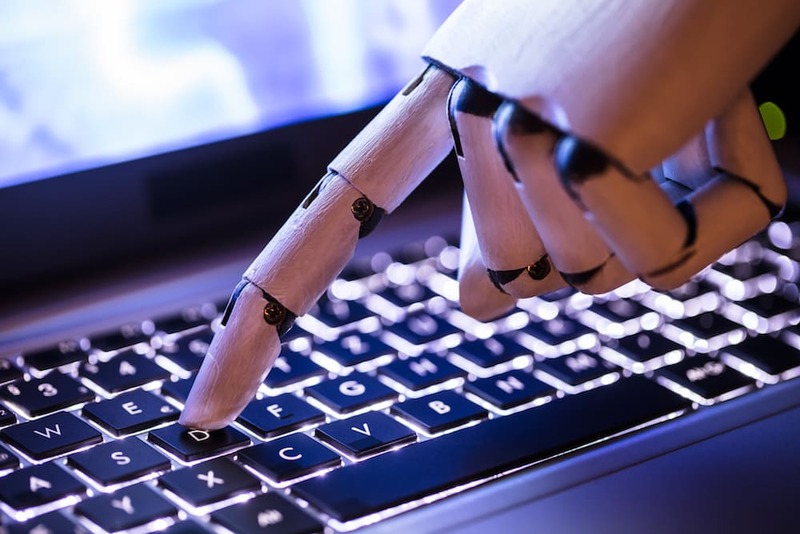 Automated marketing campaigns save time and the potential for human error—especially when you’ve been analyzing lines of numbers for long periods of time. Tracking the results and accurately reporting on campaign challenges and successes is a big part of distributed marketing automation. Distributed marketing automation can lead to increased sales, higher-quality leads, and an advantage over your competition. But to really make clients happy and go beyond their expectations, you need to have a solid strategy in place. 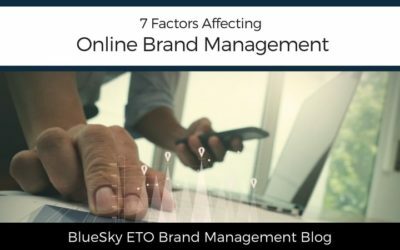 Automated marketing campaigns powered by BlueSky ETO can decrease campaign management time by up to 80%. Schedule a free consultation to learn how distributed marketing automation can help your marketing efforts. We’ll listen to your challenges, then build a consultation to help you achieve your goals. Distributed marketing automation is your software solution to boost sales, gather high-quality leads, and gain an edge over your competition. Great information about distributed marketing. Something branding companies or individuals should look into. This sounds helpful to me. As a newbie, I have so much to learn, specially marketing strategies that will boost my business. Thank you for this. This will make my life a lot easier. Getting the right content distributed to your prospects can help turn your leads into clients. You just need to measure when is the right time. Marketing automation helps you determine this. Thanks for the info. Very useful indeed. Definitely realize how automating things is a great way to say myself time. This way I can focus more on the things I want to do for my business. Automated marketing sounds like such a great idea! Who has the time to write out a bunch of materials when there is so much other work to do? This will definitely help with a campaign. Also it helps engage with your consumers and people should always be building their subscriber list. Great program. Anytime you can get accurate reporting to manage results, it provides great benefits and can help you better target your messages. I need to keep this in mind for sure. I’m all for getting out information to customers quickly. That’s a very informative post thanks for sharing this information with us. I always love learning new things about marketing. Not only do I run a review blog, but I also work 40+ hours a week at a dry cleaners that I handle some marketing for my company as well so things like this is super useful! In this day and age, brand compliance is so so important. I’m glad you stressed that and I’m glad blogger’s are better recognizing it. Thanks for the info, super interesting! This is a great program and ideas for marketers. Thanks for sharing this ton of information. Maintaining a blog is not an easy task. We must always make sure we put out relevant content and find ways to reach more customers. I think this idea of distributed marketing automation is fantastic. This is an interesting read. Definitely a lot to think about here if you are investing in marketing. I get so frustrated when companies do not invest in their marketing game! Great resource. Indeed, Liz. It needs to be a regular and ongoing investment. Sometimes we need automated system to maximize our marketing. Thanks for your tips and ideas! This is so interesting! I didn’t know a lot of this! So many people frown on automation. I like it because in a world with multiple platforms one person can’t do it all. Nice! This is a level up a marketing strategy, I’ve heard one of my colleagues is involved with this type of automation it’s really quite complicated to understand at first. But it will really save a lot of time. With so many marketing options out there, automation is necessary. It would be too difficult to market properly without it. This sounds like a great way to save time and increase productivity for my business which as a mom and business owner, I need every minute I can get. I love the idea of automating things. I try to do it with as much as I can to lighten my load. What a great read. Automation is super important for running a great and smooth online business. Love reading your posts, always learn something new. I implement a lot of these already, but there are definitely a few on my list of areas to improve. Certainly many great points here! Automated marketing is especially a must for me. Automated marketing has so many benefits, Agree! Loved to read more about it! It really seems to have such a wonderful amount of benefits, that’s for sure. My mother is into insurance business. I like your example of an insurance agency. You can set up an alert when there’s a need for a personal call or an email to respond to a special type of situation. This definitely lessens missed commitments. Sounds like a great program. I see many benefits. This sounds like an interesting way to get out to your customers, is it all GDPR compliant working in this way? As I’m having to change so much to fit into that.